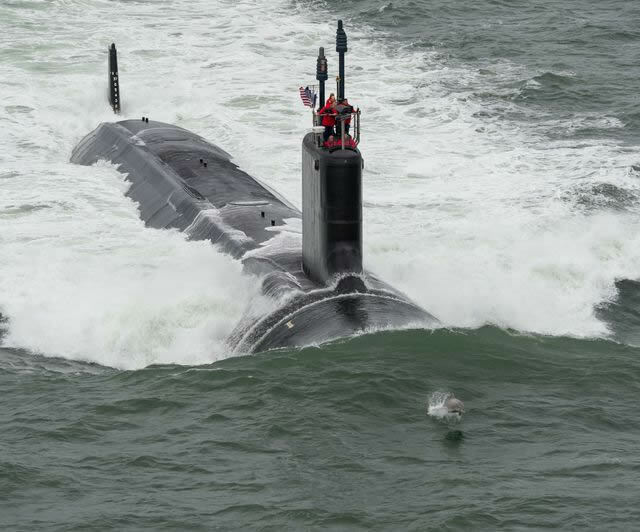 For 40 years, Lockheed Martin has supported the U.S. Navy’s submarine program by bringing integrated solutions to complex systems including navigation, sonar, and communications. The U.S. Navy recently demonstrated its trust in Lockheed Martin’s expertise by extending its contract for Submarine C3I System Engineering & Integration (SE&I) services. The work entails a major redesign of interfaces critical to the navigation architectures spanning several Submarine Warfare Federated Tactical Systems (SWFTS) subsystems across all submarine ship classes. “Aligning innovation with the customer’s strategic plan is a key reason for our team’s track record of successfully integrating combat systems on both new construction and in-service submarines,” said Dave Boyle, Lockheed Martin Business Development Director in antisubmarine warfare (ASW) and integration programs. The scope of work includes an unusually significant breadth, scale and complexity of interface design changes that span across multiple submarine classes including Virginia Class submarine construction. In its Dec. 14, 2015, contract announcement the U.S. Navy attributed the sole source justification to Lockheed Martin’s ability to mitigate significant and untenable program risk in both delivering the interface baselines and in successfully completing testing in support of SWFTS deliveries to Virginia Class submarine construction and SSN/SSBN modernizations. The contract is valued at $60 million. For 10 years the SWFTS Systems Engineering & Integration (SE&I) team has performed crucial engineering and management to integrate numerous submarine combat subsystems – including sonar, imaging, BYG-1 (tactical control and weapons control), and communications—into one large system-of-systems for all in-service U.S. Navy submarine combat systems. The team then tests the combat system to make sure that the subsystems correctly interface with each other prior to installation on a submarine. The team leverages its ASW lab in Manassas, which is fully integrated with three of the major submarine combat systems—sonar, BYG-1 and imaging—and is open to all other SWFTS subsystems, allowing for risk mitigation of the entire combat system prior to boat delivery.